Recently, AMD lunched it's most powerful consumer CPU - Ryzen. AMD's new Ryzen chips implementing their Zen microarchitecture, which include several CPUs of various levels of potency. Zen is nearly half the size of AMD's last microarchitecture Bulldozer, which is much, more faster and efficient. Ryzen is also significantly faster than much of what Intel has to offer. 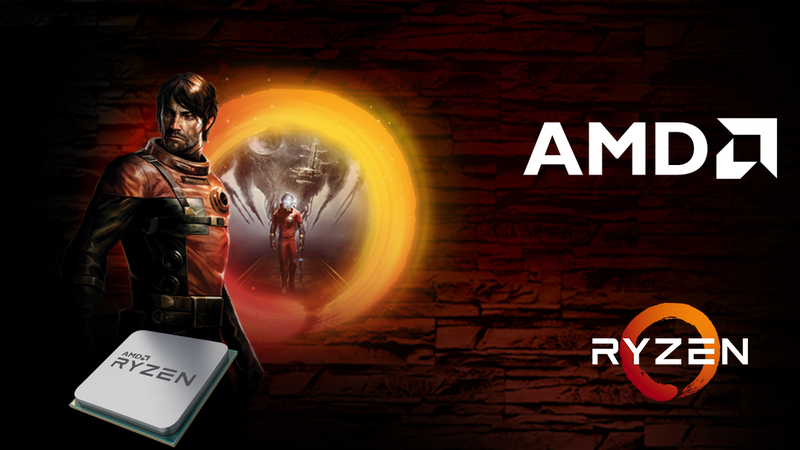 Ryzen was designed by AMD to perform well at high loads and be compatible with the latest hardware in PC gaming. To that end, company had to develop a new chipset for the processors and a new socket, the AM4. That means you need a new motherboard and a newer OS than Windows 7 for your Ryzen CPU. Luckily, a pretty handful of AMD Ryzen motherboards are already on the market for this very occasion. Pure Power - It measures hundreds of on-chip sensors to optimize temperatures and power use while maintaining performance. Extended Frequency Range - CPU can nudge clocks speeds past their official maximum if Ryzen detects advanced CPU cooling, such as liquid-cooling or liquid nitrogen, for your chip. Overclocked - Every AMD Ryzen processor can also be overclocked with a compatible motherboard. Precision Boost - It also offers fine-grained, automated frequency control that can nudge performance up by 25MHz increments to boost performance without consuming more power. Neural Net Prediction - It examines your usage and primes your processor to tackle your app workload more efficiently. Smart Prefetch - Ryzen works hand-in-hand with Neural Net Prediction, identifying how your applications behave and preloading data that it expects you to need for faster performance. The first Ryzen processors were released by AMD earlier this year, and were seen a major leap forward for the company's CPU offerings that actually managed to offer meaningful competition for Intel's popular Core i5 and i7 models when it came to both price and performance. Essentially, the Ryzen chips are better at hyper-threading across their cores, enabling more actions per clock than before, which is already proof by record braking benchmarks under extreme cooling. Company has also announced some more Ryzen processors set to hit later this year, including mobile-focused Ryzen processors for laptops, the Ryzen "Threadripper" for high-end desktop PCs, and a budget Ryzen 3 line. AMD's mainstream Ryzen chips will be split across three families. The top-of-the-line Ryzen 7 processors launched with 8 cores, 16 threads. More affordable Ryzen 5 series launched with 6-core, 12-thread processor capable of boosting to 4GHz. And, upcoming Ryzen 3 with 4 core, 4 thread entry level processor. At the other end of the spectrum is the upcoming Ryzen Threadripper, set to release in the summer. It still has the same Zen architecture as the rest of the Ryzen line, but the Threadripper will be a CPU with up to 16-cores and 32-threads, it gives the high-performance Intel products currently dominating the same space something to worry about. Threadripper's designed to battle Intel's powerful new Core i9 chips, which launched in June but will expand out to 18-core chips between now and October. Intel and AMD playing a core war this summer. But, how many cores you need really depends on what you do. If your primary goal to play games, a mega-core PC isn't likely to yield the performance you'd expect. If you edit video, render 3D, and run other intensive workstation-like tasks, more cores generally means less waiting. Having an embarrassing number of cores can also aid in heavy-duty multitasking.